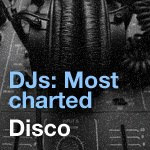 "West End Records not only defined New York City dance floors, but influenced DJ's and dancers worldwide during the late Seventies and early Eighties"
When you think of disco, you think of REAL disco. Not the mutated creature it became in the pop charts, but the black gay disco variety that typified a generation and became the soundtrack to a political civil rights movement. The connoisseurs of disco will think of the clubs that celebrated it, such as Xenon, The Saint, Circus, The Funhouse, the Continental Baths, The Gallery, the Loft, Studio 54 and the Paradise Garage. All of them celebrated black music, all of them were predominately gay and the majority of them catered for a black and Hispanic audience, with the exception of Studio 54 and The Saint. 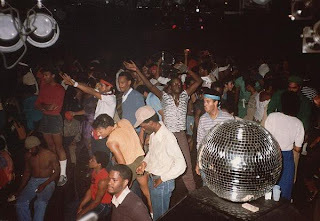 The holy-grail, the Mecca of disco has to be the Paradise Garage. Those who were lucky enough to go there wax lyrical of how amazing the space was and what a DJ deity its resident god Larry Levan was. And those of us who never got there or were not old enough to walk up its ramp know someone who has or knew someone’s uncle’s mother’s brother who stood in the middle of the hallowed ground to experience it themselves. A bit like an urban legend that you hoped was true but you were never quite sure it ever was. Well, certainly not in the way it was portrayed. However, proof of the undeniable legendary status of Paradise Garage is the record label that encapsulated it’s sound. West End Records not only defined New York City dance floors, but influenced DJ's and dancers worldwide during the late Seventies and early Eighties. West End was established in December 1976 by Mel Cheren and Ed Kushins. The legendary Paradise Garage DJ Larry Levan worked closely with the label helping them to create their sound. The label was one of those things that just happened with West End being born out of the need for Mel and Ed to secure their future as the label they both worked on, Sceptre Records, was closing down. Mel had been the Head of Production for Sceptre and was seen, by many in the music industry, as responsible for giving birth to the disco era. He was key in pushing black soul music in a predominately white industry. He was also responsible for putting the instrumental version of the song on the B-side of Sceptre's singles. For this new idea Sceptre won Billboard's Trend Setter Of The Year Award. Besides this and even more importantly he created the first 12" single! He was still at Sceptre and as he says himself; "The idea came from Tom Moulton, because he suggested that if we put the record on 12" we could spread the grooves and make it hotter for the club DJ's. We were the first company to put it out for DJ's. SalSoul put their first 12" record out at about the same time on commercial with "Ten Percent" by Double Exposure. That's how it came about to the fact that you could spread the grooves and make it hotter than in the 45 records." West End Records was a reduction of all these achievements, completely focused on delivering and developing what came to typify disco music and the future shape of dance music as we know it today. Even the name of the label reeks of royal disco heritage. The name being born from the location of their office, which was located close to Broadway in Manhattan's theatre district - the West End. Their address was 254 W. 54th Street, an address that would soon be synonymous with the rich and famous, the fashion pack and disco lovers of the world, as Studio 54 and West End Records, these legendary disco "institutions", were located in the same building. Their first release was a hit. It was an album called - Sessamatto, which was a soundtrack to an Italian movie. Interestingly, it has a back-edit in one of the sections of the track, where the beats briefly go backwards. This was way before its time, back edits were used heavily by Derrick May, Juan Atkins and Underground Resistance in their earlier releases. 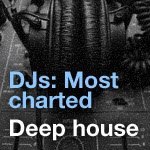 West End became one of the most influential disco labels at the time with releases like Hot Shot in 1978 from Karen Young being a huge club and Billboard hit. This was followed up with acts such as Billy Nichols (Give Your Body Up) in 1979 and Taana Gardner later became the voice of West End with tracks such as ‘Heartbeat’, ‘When You Touch Me’ and ‘Work That Body’. West End also managed to be financially successful whilst maintaining its underground sophistication and DJ devotion, not an easy task for any record label. The soundtrack of the Garage and its divine DJ were reflected in the records being generated by the West End music machine. 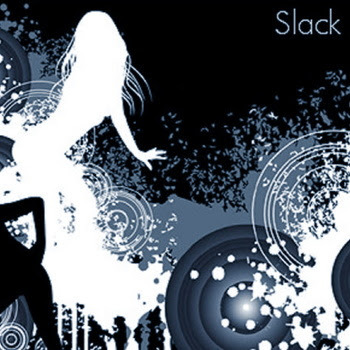 Loose Joint- Is It All Over My Face, Peech Boys- Don’t Make Me Wait, Sparque- Lets Go Dancing, Raw Silk- Do It To The Music, Michele- Disco Dance, Ednah Holt – Serious Sirius Space Party, Forcce- Keep On Dancin’, Mahogony- Ride On The Rhythm are just some the tracks that were generated by the label, all with special Levan mixes. Records that still stand the test of time, still being sampled by numerous house and hip hop acts and still being played and sounding fresh today. West End was re-ignited in1996 and continued under the management of Mel Cheren and the new blood of Kevin Hedge from house act Blaze, generating fresh focus and bringing the company into the 21st Century. The label has since gone quiet after the death of Mel in 2007. But the quality of its music continues to live on. Next month there are plans for a Labor Day Paradise Garage re-union in New York city on the 2-3 September 2009 called Paradise Under Stairs. The venue will be a fabulous open air Water Taxi Beach in Long Island, the home of a number of amazing underground events in New York. It promises to showcase the huge wealth of the West End back catalogue and guess who is going to be right by the speakers? Me of course! Mel's autobiography is an essential read for all those interested in the Garage, Larry, Brody, Moulton, West End, Scepter; in fact anyone interested in disco and house music full stop. Up there with Love Saves the Day and the recent Vincent Aletti Disco Files book. Mel captures the joy of the 70's & 80's black music scene as well as the horror of that aids brought with it. Fascinating to get an eye witness account. Personally we live with the spirit of the Garage and the ghost of Levan infuses our deep love of house music. Those of us who didn't actually live the experience, still were young enough to be influenced by it. It was the music of their generation to some, and the music of our formative years to us. Disco/House music is perhaps the greatest gift that generation gave us and for that we will always pay homage and due respect.